Our point of sale system is used at dozens of events around the country and has been designed to be friendly and easy-to-use while remaining fully capable of running a retail location. It acts as a front end for our sophisticated inventory control system, which can assist with sales reporting and predictions and reordering. Our volunteer- and novice-friendly point of sale system makes a great impression on your guests by making the checkout process quick and painless. The system is primarily used in merchandise and ticket sales, but has options for concessions and hospitality dining. 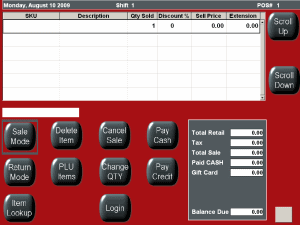 The interface is easy to use for first-time and volunteer cashiers, with big, clearly-labeled buttons and a limited set of options. Advanced functions, such as discounts and price overrides, are made available by scanning an administrative barcode or typing in a code. 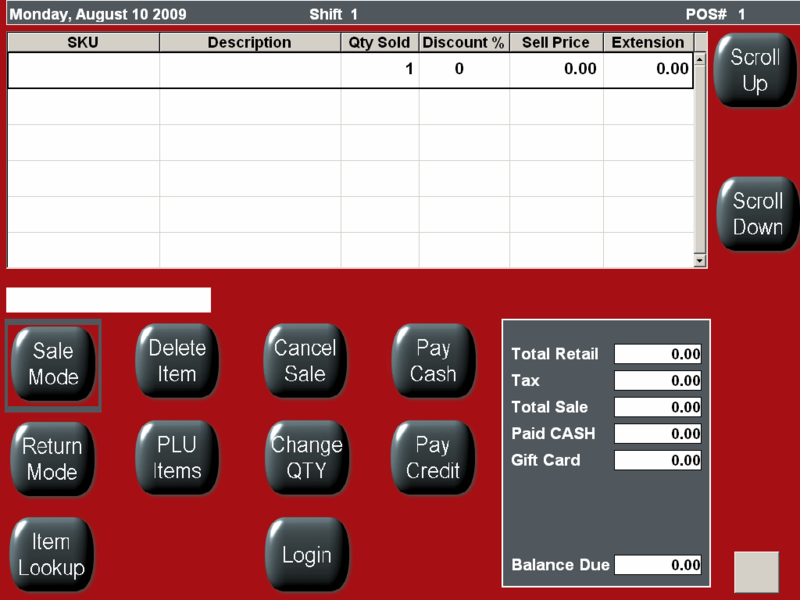 The touch screen interface eliminates the need for a mouse and keyboard, while also speeding up register operation. Cashiers unfamiliar or uncomfortable with computers will feel at ease with the relative simplicity. While registers are open, our staff will be positioned in the point of sale area to answer questions for cashiers, assist chairpersons with shift changes, handle special sales and keep the register area tidy. We recommend a short training session before the first working shift, which usually runs for about twenty minutes and includes a complete tutorial on the cash register software. A Cueto & Cueto staff member will conduct the training session and then be available to answer questions. We offer a variety of inventory management, sales prediction and analysis tools which can be customized for your event. We provide reports in a variety of formats, including web-based, PDF, Excel (97, 2003 or 2007), e-mail and text message. Text and tables from the website can be copied directly into most Office applications and graphs can be saved for later use. Reports range from graphical summaries for presentations to sales and receipts journals targeted at finance departments. The Cash in Drawers tool tells your finance staff the balance of every register over the initial cash placement and can be configured to send alerts once a drawer passes a certain threshold. Cashiers will master the system after only a few sales. 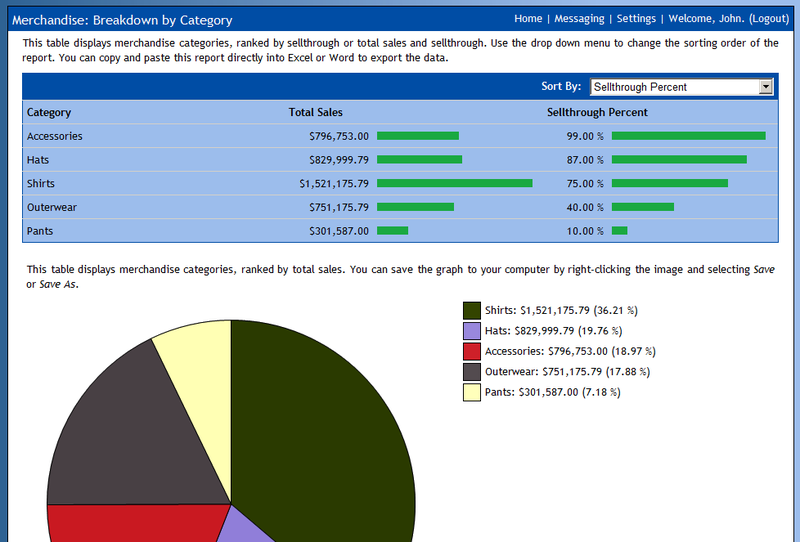 One of dozens of available reports designed to help you analyze sales data.